Read the article in Ms. Magazine. Yet women are less likely to run businesses than men, especially in low-income countries; those who do are often in low-growth sectors like street vending or home-based work, which traditionally turn little profit. What’s holding women back from small business success? In some cases, it’s a lack of personal and professional relationships, or networks. Sustainable entrepreneurship demands strong social capital. Research on rural women’s business networks reveals how group models link women to new markets, increase their income and provide crucial peer support in male-dominated industries. Sambath launched her new business through WEwork, a women’s training and networking program run by WaterSHED, a regional organization building sanitation markets and supply chains. But Sambath began with a small, more family-centered network than what is typical for men–a major barrier to starting a business. She struggled to access credit, purchase materials and transport her first toilets to market. Initial research showed that women in the program had very small professional networks, and almost 40 percent sought business advice from just one person (often their husbands), or no one at all. Sambath turned to her growing professional network to problem solve, access capital, and build her customer base. After 18 months in peer groups, Sambath and her colleagues grew their business networks from an average of two to nearly six people, significantly increasing their contacts beyond the household. In one year, Sambath went from a few toilet orders to over 20 a month. That’s for good reason: businesses owned by women who utilize their networks are 38 percent larger than those of women who do not. Women’s Village Savings and Loan Associations (VSLAs)–groups of 15 to 30 women who pool their money to support business ventures–have a long history of building women’s social capital and income in innovative ways. In six countries–Bangladesh, India, Tanzania, Malawi, Mali and Ghana–VSLAs supported by CARE International have banded together to form even larger networks called Producer Associations. Through the meta-networks, women access new agricultural technologies and business classes, learning how to improve crop yields, link to markets and negotiate supplier contracts. The group model has had dramatic results for rural women: 70 to 90 percent of women adopted new farming techniques, helping families increase crop yields by up to 300 percent–even in the face of severe drought, floods, and other destabilizing factors like localized conflict. Women generated close to $7 million from crop revenue, and received over $2 million in association loans. The Bill & Melinda Gates Foundation heralds these self-help groups as key drivers of women’s economic empowerment in their new gender equality strategy. But VSLAs go beyond savings and business skills: group members also tackle local gender norms that stifle women’s economic potential, and may keep families in poverty. “When you told your husband that you want to open an account, he taunted you. ‘What are you worth? You dare open an account and apply for a loan?” said one woman in a farming community in Burundi. In these farming communities, men join women from the VSLA in gender dialogues, using tools and exercises to discuss disparities and create a collective image of an “empowered woman.” As new ideas take hold, more Burundian women see themselves as economic actors and income generators. They take loans to expand farming, or to start in typically male work like driving bicycle taxis. “An empowered woman works to have her own income and her own goals,” has become a VSLA mantra. Group models like these in Cambodia and Burundi support women entrepreneurs as they expand from startups to full-fledged, profitable businesses. Women’s networks provide a platform not just for poverty reduction and economic gain, but growing gender equality. And as more women coach and mentor fellow business owners, they encourage each other to be more confident and set higher business goals. 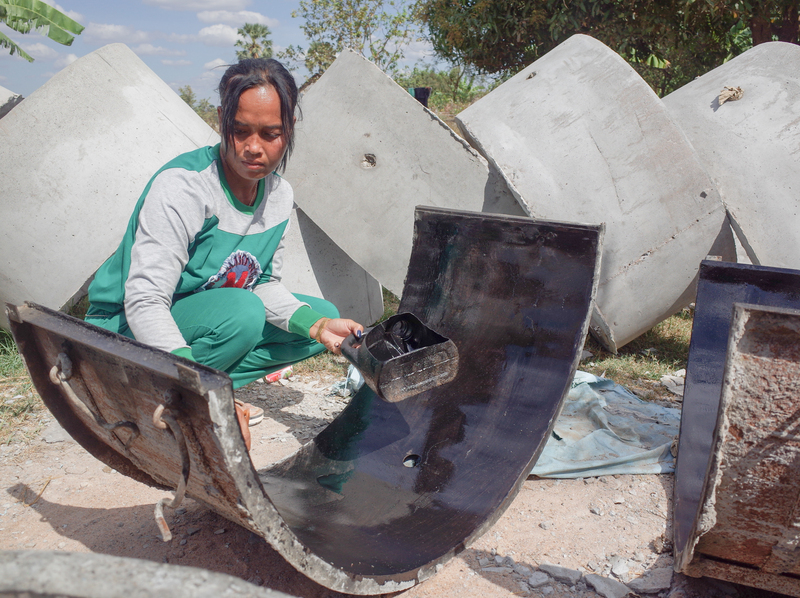 “We women can also do it,” says Sambath, the Cambodian pioneer. “In business, women can think differently from men… and earn extra income.” She’s buying a second truck to take her business to the next level–and coaching other women to start theirs.